The goal of our Phonics Cafe section is to improve the literacy of young English language learners. This week’s Spotlight lesson, Silent ‘e’ Words 2, focuses on words that end in the unpronounced final ‘e.’ This little letter affects the pronunciation of a word in a big way! Our 16-page phonics lesson starts off with a comparison of three-letter words and their four-letter counterparts with the final ‘e’ added (e.g., fin + e = fine). This exercise teaches students how the silent ‘e’ affects the main vowel’s sound and length. 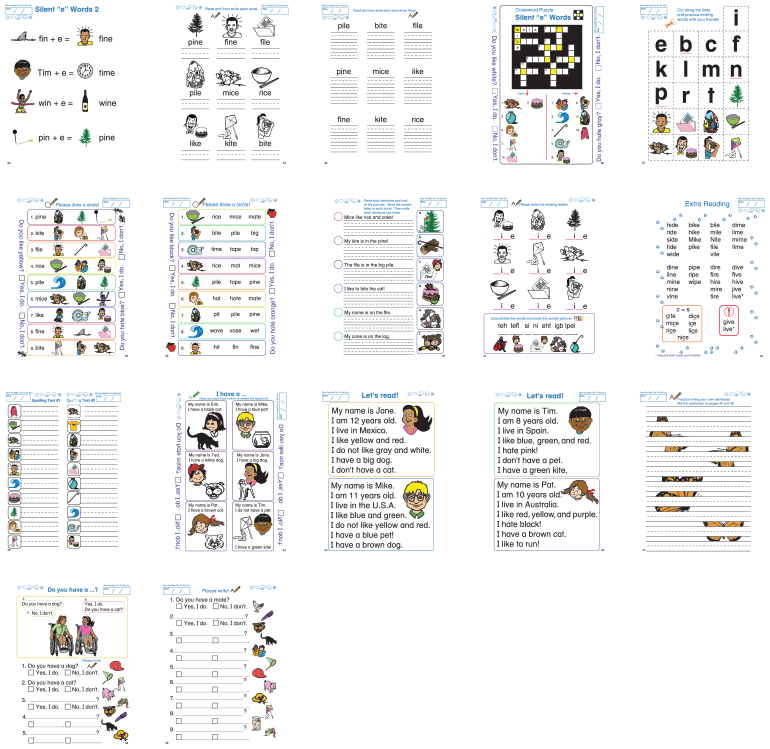 The lesson continues with a variety of printing/speaking exercises and word puzzles on common four-letter words ending in silent ‘e.’ The colorful illustrations will help your young learners stay engaged throughout the lesson. Sprout English’s Phonics Cafe section offers 50+ lessons to help improve low-level English learners’ printing, writing, spelling, and pronunciation. This section starts with the alphabet and works up to letter combinations and words that are difficult to pronounce and spell. Flashcards and student certificates are also included in this section.